From the original lines bred by George Nicholas in the near perfect climate of the Valley of the Moon, come the finest turkey poults in the world. In 1937 George Nicholas began breeding and selling the largest and highest quality turkeys from his ranch in the hills of Sonoma Valley. This tradition now continues in the hills of West Virginia. Come and visit our library of bronze, black and white turkeys. As the name suggests, the feathers on this beautiful turkey shimmer in the sunlight. This robust bird will thrive in the indoors or outside. 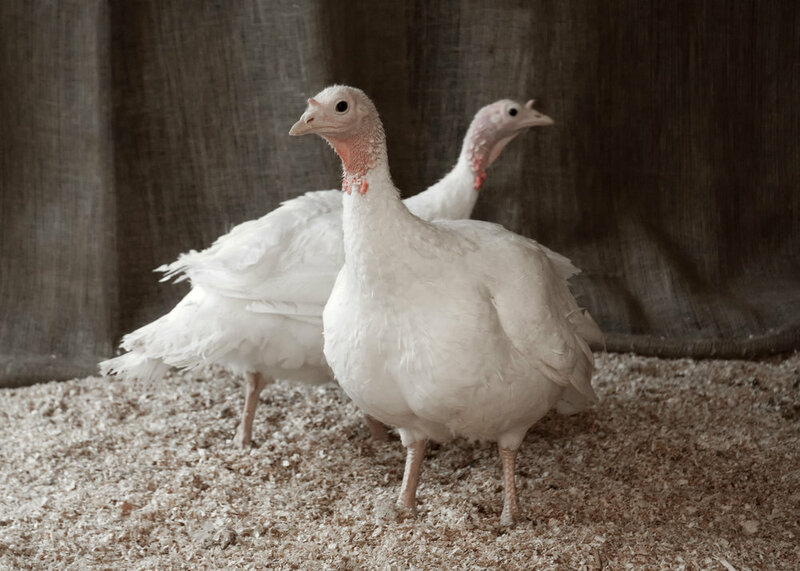 Our white turkeys are ideal for producing a beautiful whole bird because white feathers leave an unblemished skin. Our Black turkeys are a striking addition on the farm. They have a deep, rich color that goes from their head to their toes.